I recently travelled to Arusha, Tanzania with a group from Earth’s Edge to summit Kilimanjaro and stand on ‘the roof of Africa’. 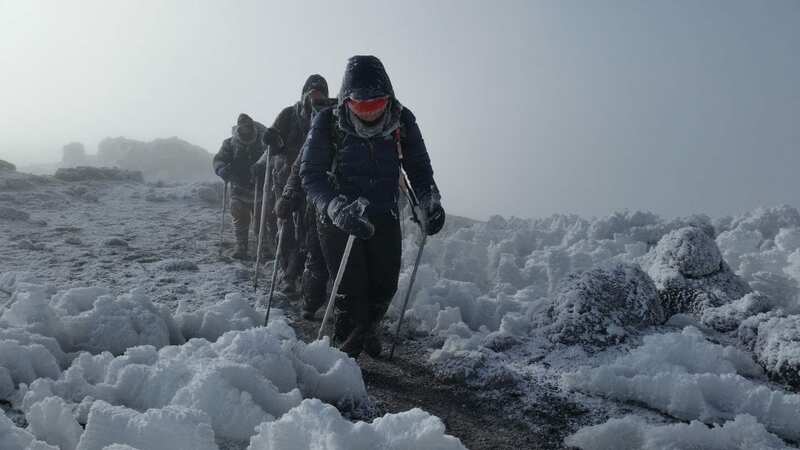 As a recreational hiker it was a fantastic personal challenge and an unforgettable experience but as a doctor, the trip had much more to offer. Earth’s Edge is the only Irish adventure company to send a qualified, practising doctor on all their trips and I don’t think I truly appreciated what that means to people until we arrived at the mountain. Over the course of the fortnight, I spent time getting to know each of the group and as time went on and we all settled into familiarity, people started to tell me why having a doctor on the trip mattered to them. For many, it was an extra insurance policy, a sense of security or peace of mind. For a few though, it meant that their age or medical history (both things that we all accumulate with time) didn’t exclude them from something they always wanted to do. So many people want to challenge themselves, to set goals, to train hard and all they want is to be given a chance. For many of our group that’s what made Earth’s Edge different; they are in the business of giving people a chance and for our clients, the expedition medic was part of that. Than an ambulance down in the valley”. His wisdom holds merit, but from my experience of being an expedition doctor, it’s probably best to have both. When it comes to realising goals at altitude there are plenty of fences to build and you want a pretty decent ambulance parked in the valley. On our trip, there was no better example of fence building than in the case of Paddy Doyle, an avid climber and hiker from Wicklow. Paddy was born with haemophilia, a condition where blood does not clot as effectively as normal. In many cases, people manage to live normal lives but even minor bleeding can become critical. Having summited most of the major peaks in Ireland and the UK, Paddy had set his sights on the highest peak in Africa. 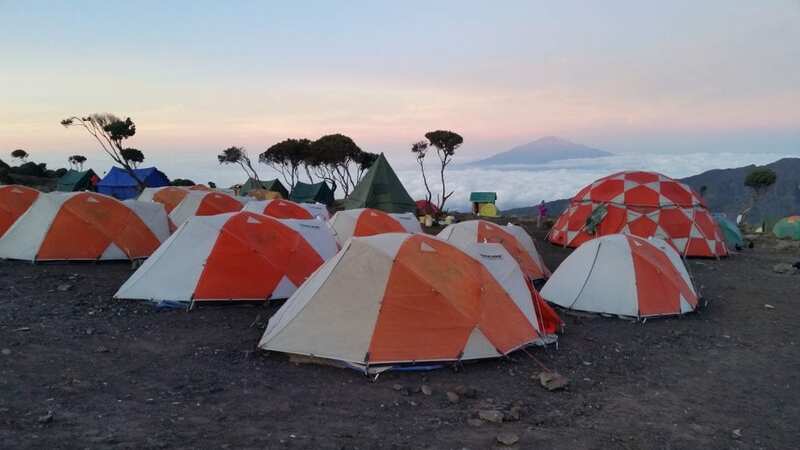 The terrain of Kilimanjaro and the altitude is not for the faint-hearted but in the case of a person with haemophilia, being many miles away from a hospital, in locations not easily vacated, means planning and prevention are essential. Plans were laid out by myself, Paddy and his consultant so that we would be travelling with specialised drugs that Paddy could take himself, or that I would administer to improve blood clotting in the case of a fall. Additional stock was also arranged to deal with nosebleeds, broken bones, lacerations and any causes of bleeding on the mountain. Finally, to prepare for the worst-case scenario, we reviewed evacuation plans and all helicopter landing sites along the expedition. As a doctor, it was fantastic to have such a thorough plan for accident prevention and management before we set off. 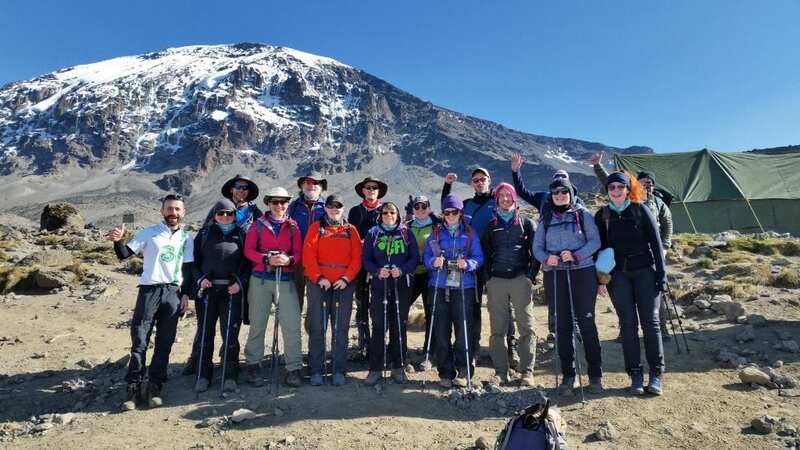 Even more fantastic is the fact that it was entirely redundant and on the 22nd of October 2018 Paddy Doyle became the first Irish Haemophiliac to summit Kilimanjaro! If our planning and prevention was the ‘fence’ from Malin’s poem, then the ‘ambulance’ was the Earth’s Edge medikit for dealing with accidents when they happen. A few months before we departed, I was sent a list of the medical equipment that we would have with us for the expedition. Having a background in hospital medicine, I didn’t have high hopes for the expedition equipment and had visions of myself doing ‘MacGyver’ medicine with bits of tree bark and string! I couldn’t have been more wrong. The Earth’s edge medikit has everything except the kitchen sink. Its stocked to treat everything from headaches to heart attacks, dehydration to delirium, infections, insomnia, fractures, nausea, a minor surgery kit and a load more besides. After reading the extensive list I was relieved and admittedly a little worried… How was I going to carry all that stuff? I needn’t have worried though as I was introduced to an energetic and cheerful Tanzanian man named Thomas, who was to be the medical porter, on the first day of the climb. 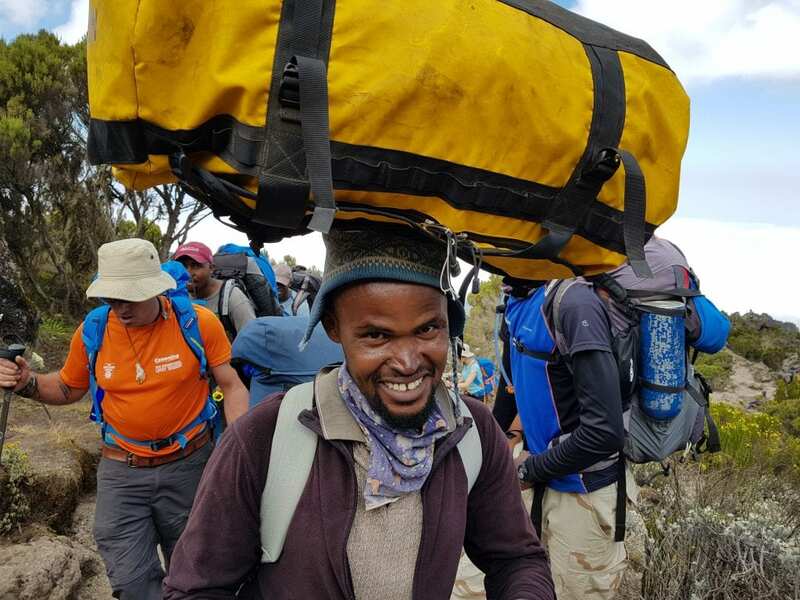 As with all medical porters, Thomas was one of the more experienced and stuck with me throughout, always keeping an eye for anyone struggling and quite literally running uphill if he was needed. Being an expedition doctor is a totally different world to everyday medical practice. It’s about starting out with someone who is physically well, taking on a great physical challenge and supporting them to overcome it. The rewards from doing a major summit transcend the physical and bring about changes in people within themselves. It was a privilege to be part of so many people’s journeys and I’ll definitely be back to do more. 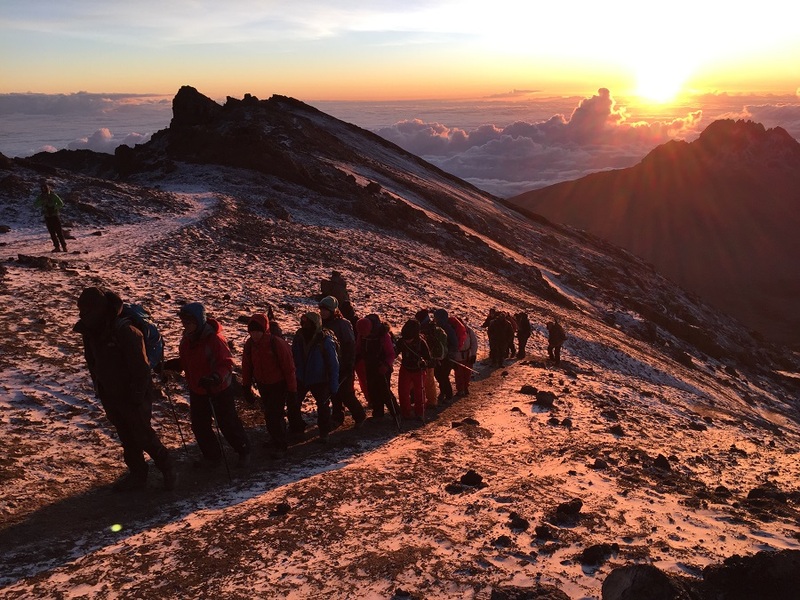 If you want to experience Kilimanjaro with an expedition doctor for yourself, you can find out more information on our Kilimanjaro Trek page.